“It won’t last as long,” Turbocharged engines run hotter, are prone to break!” That may have been true last century. And I emphasize, may have been! While I can’t speak for all turbo owners, I presently hold in my personal stable a 99’ Volvo S80 T6 twin turbocharged ‘straight 6’ with 138,000 miles showing on the odometer. To date, the engine remains mechanically bulletproof, uses no oil between changes, and runs generally as well as the day I purchased the vehicle back in the day. O.K., so this is a Honda-brand specific story, let’s get to it! Honda gasoline and diesel internal combustion engines are known for their mechanical reliability. That’s a given, tested by time. The big “H” has manufactured turbocharged engines for decades. With today’s extreme low-friction engine internal components, and synthetically formulated engine lubricants, intercoolers, and advanced engine management PCM, (power control module) 4-cylinder, direct and port fuel injected, turbocharged I.C.E.s, are now the engine of choice as world-auto-manufacturers scramble to meet and beat pending C.A.R.B compliant fuel efficiency and emission standards. In my latest 2017 CR-V drive time, I recorded a true 31.9 MPG combined driving in mostly wet winter weather. The new-found acceleration is akin to this car, they share the same engine. Furthermore, gone was freeway-on-ramp concern, or passing time, as hills and bi-ways effortlessly melted in the rear view mirror. Yes, a small displacement, direct injected, turbocharged engine can be a bit “rattled’ at times, it sounds different than a V8 or V6 mill. Yest, due to the favorable early-on torque curve, and hotter, recirculating exhaust gas burn time, leaner, meaner and near-zero in expelled exhaust emissions. This week we spend a week in the seat of Honda’s best selling CR-V. What’s different for 2017 will fill a complete drive review. In the meantime, read our initial drive impressions here. Inner cooler = Intercoolers or charge coolers. Video link is no longer functioning. My 2017 still has some lag from a standstill. Not sure if turbo lag or the ECU trying to delay power delivery for MPG or CVT preservation. It can be a bit scary if trying to use the power to complete a turn through a tighter gap though. Thank you Rick for the proof read. As to why the video has been removed, I couldn't tell you. I'll get back to you with an answer as soon as I do know something. P.
You and I drove different cars then. the new Honda CR-V turbo lag is quite visible especially when you drive two cars one after another, i drove the crv 2016 with no turbo and the 2017 with turbo, immediately you sense the car is underpowered. Here is what is going to happen in the near future, the crv will have a 2L turbo engine coming to share it with Accord. 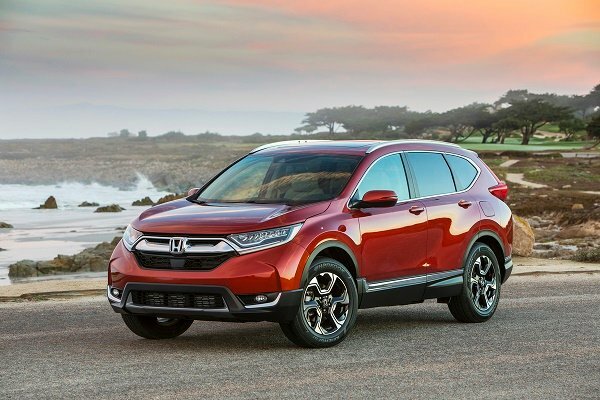 Then i will be willing to consider the new crv. Just happened across this site. I have a 2017 turbo powered CRV purchased the last quarter of 2017. At 70 Y.O. the engine is fine for me. I don't flog an engine but I don't baby it either; a car is meant to be driven. I have driven a lot of different type of cars/ engines/ transmissions. The turbo CRV has more than enough power WITHIN MY NORMAL DRIVING RANGE. It is not a pocket rocket but it is not intended to be & I don't expect it to do 120 mph but passing, merging, getting out of tight spots has not been an issue--with tight spots the best trick is don't get into them in the first place. Accelerating from a stoplight, driving normally, I will be ahead of all except perhaps 1 or 2 vehicles. Honda's move to a different future Turbo engine, if it happens, might be more related to purported issues (excess gas in oil) with the Turbo in very cold climates, especially in China. A comment about the CVT: It does not bother me at all that it does not seem to have regular shift points. Its job is to move me from point to point efficiently & effectively, which it does. I describe the CVT as, Invisible. It does seem to have a little slack in the driveline at stop, as bands needing adjustment would have on a standard transmission but having driven so many different type cars, I am adaptable. When you come in to park, keep your foot on the brake because at the very end it will make a disconcerting surge--again I am adaptable. The surge might be the CVT or the Turbo or a combo. I have had one disconcerting issue, which the dealership diagnosed as a "power to ground" issue but which they could not specifically define. Eventually the battery was replaced without admitting anything except the battery was bad. This situation cost me about $155, 3 tows (Honda paid) and disconcerting days without a car. I complained mightily & frequently & Honda USA/ America (?) eventually did the right thing & gave me a customer coupon for $150. Current mileage: about 45,000. One more point: 138,000 miles is presented here as high mileage. That was my one concern about buying a turbo. High mileage for me is a 4-cylinder with close to 400,000 miles where the engine was bad because of a bad repair on stripped sparkplug threads, not because of wear & tear. I have had several 4-cylinders with over 250,000 miles. With some Japanese cars with engines now guaranteed for 100,000 miles, Turbos might have a ways to go for durability/ reliability if 138,000 miles is to be considered high mileage.